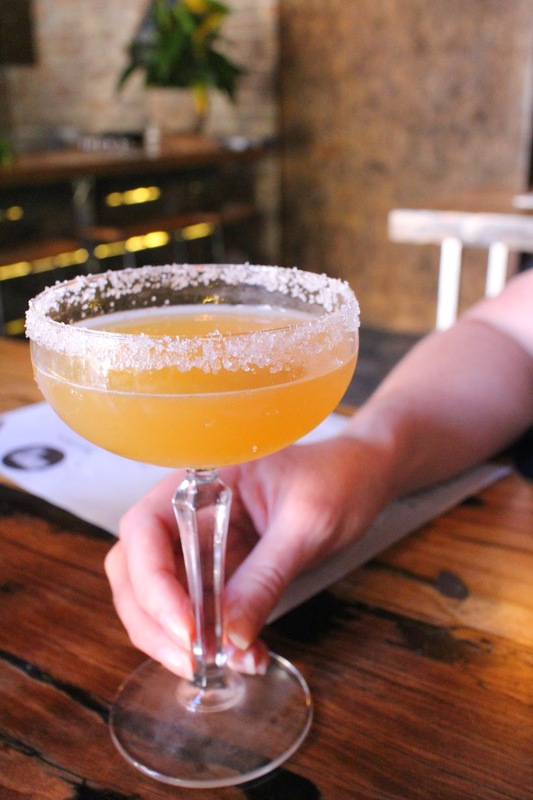 Fancy a taste of Manhattan without the hefty price tag involved in getting there? 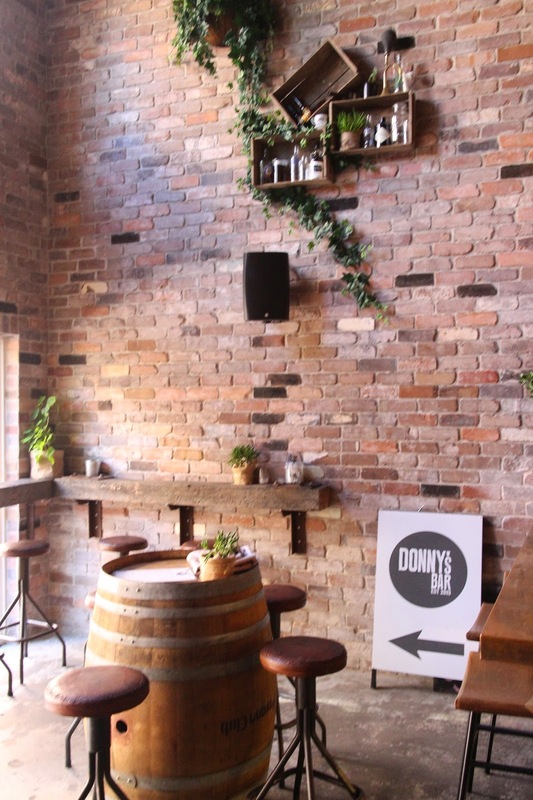 If so, then Donny's Bar in Sydney's suburb of Manly is the place to visit. Opened by Ex-Merivale operations manager Matt Clifton, this small space is tucked neatly into Manly's Market Lane. Recently described by Vogue Living as a space that reflects Clifton's 'international adventures and defines what he calls home',this loft style bar is pretty cool. Clifton has used decommissioned railway sleepers from his parents' farm in Tullamore, NSW to build the actual bar, adding a great sense of heritage and charm. Wooden plank tables, exposed bricks, a scattering of stools, and some funky light fittings, give a unique industrial feel to the place. It's edgy and has a great vibe. Today, Pete and I have arrived to try some of the food on offer at Donny's by Head Chef Richie Dia, who prides himself on creating dishes that are both visually appealing and tasty. While we wait for the first of Richie's creations to arrive , I try the Mandarin Ginger Sidecar described on the cocktail menu as 'Sugar, spice and all things nice'. A lovely refreshing spiced cocktail with Hennessy VS, Mandarine Napoléon liqueur and ginger shaken w/ lemon. 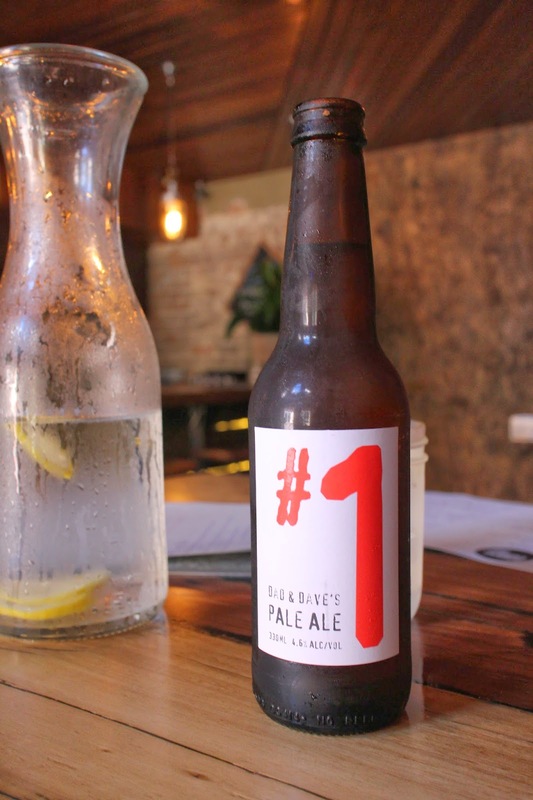 Pete tries the Dad & Dave's Pale Ale #1 - a local drop founded in Balgowlah. Whilst refreshing and crisp, Pete says it's a little light for his taste. A tasting plate arrives, offering a selection of the tapas from the menu. The BBQ pork buns are soft, fluffy, and filled with a delicious sweet and sticky pork. Next, we try the organic vegetable dumplings which are very delicate in flavour and have been cooked perfectly. We also try the grilled chorizo and chilli garlic prawns, halloumi, scallops with roasted beetroot purée and the marinated Persian feta wrapped in prosciutto w/ toasted hazelnut and red wine vinaigrette - which are my favourite. Next, Richie brings us a plate of four soup dumplings which currently feature on the specials menu but will soon be available on the main menu. The dumpling skin is light and delicate and encases a warm broth and well seasoned pork mince. Richie's signature dish follows - Barramundi & Salmon Wellington. Twice baked Tasmanian salmon & ocean barramundi stuffed w/ baby capers, roast capsicum, sun dried tomato, garlic prawns, asparagus layered on a basil & lime puree. There's a lot going on with this dish ( perhaps too much) and whilst we really enjoy the salmon element, the barramundi is slightly undercooked for our liking. The accompanying asparagus is al dente and well seasoned and the basil and lime purée helps cut through the richness of the fish. More salmon arrives and it's delicious. A crispy skinned salmon fillet cooked perfectly. 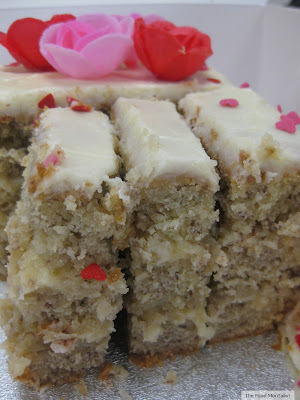 It flakes and is well seasoned. The accompanying leeks have been caramelised and the baby carrots and asparagus retain a lovely crunch. A side of sesame and prosciutto crumb provides a lovely finish to the dish. Donny's green tea sticky rice mochi are next and they are served with fresh raspberries and a cinnamon pear syrup. I absolutely love any mochi and could seriously eat them all day long. The mini fresh fruit tart is well balanced, filled with a sweet custard and topped with fresh seasonal fruit. We finish the afternoon with a swan profiterole filled with fresh cream and coated in chocolate. 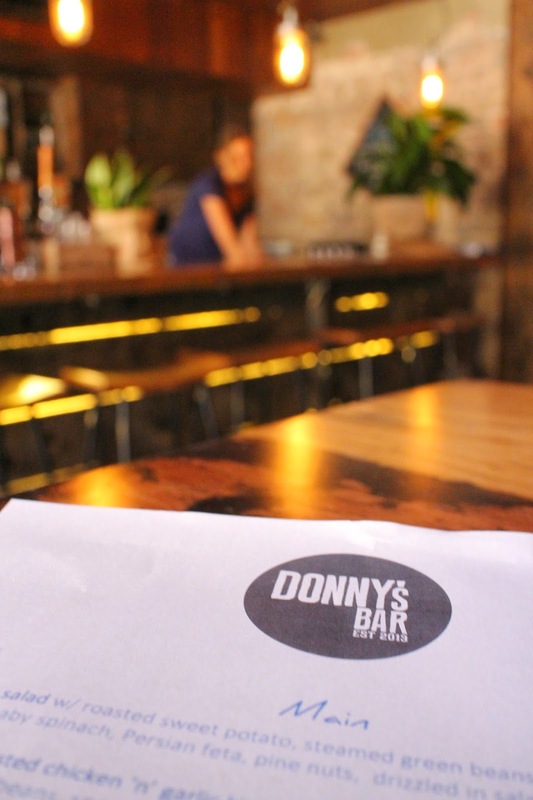 The Food Mentalist & Pete dined as guests of Donny's Bar. What a cute place. I must let my friends know as they live in Manly and are always on the lookout for new places! Wowza... Looks like a fab little joint. I'll be sharing with my family in Manly for sure.